Click on an image to start a full screen slide show. The Corwsnest River originates from a crack in the rock, just above Crowsnest Lake. First Nations people of the area consider this a sacred place. 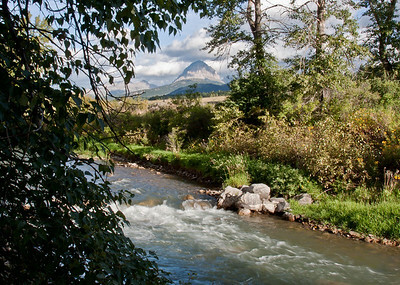 The Crowsnest River where it flows through Blairmore, Alberta. The river drops 12 meters over Lundbreck Falls.